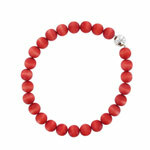 Just in - cute new tonttus and fabulous jewellery for the festive season. Celebrate the summer in style! These gorgeous long drop earrings are perfect for the summer. Featuring pink wooden pearls and silver coloured beads and chain, the 'Toscana' earrings are bright and feminine. A chic wooden necklace in a rich olive colour. The 'Fontana' olive green wooden necklace is simply perfect if you love ethnic/wooden jewellery designs or rich, earthy colours. Elegant, festive and practical - perfect for Christmas time! 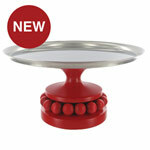 Whether you are having a lavish Christmas party or entertaining a few close friends or family, this gorgeous red serving tray by Aarikka is a practical and elegant addition to your home. 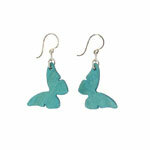 Beautiful and feminine earrings in turquoise blue. These turquoise butterfly drop earrings are just one of the unique jewellery designs available to buy from Arctic Fashion.